Cournoyer took a shot. The defenceman fell over, Lyapkin. And the — Cournoyer has it on that wing. Here’s a shot! Henderson made a wild stab for it, and fell. Here’s another shot! Right in front! Score! Henderson has scored for Canada! 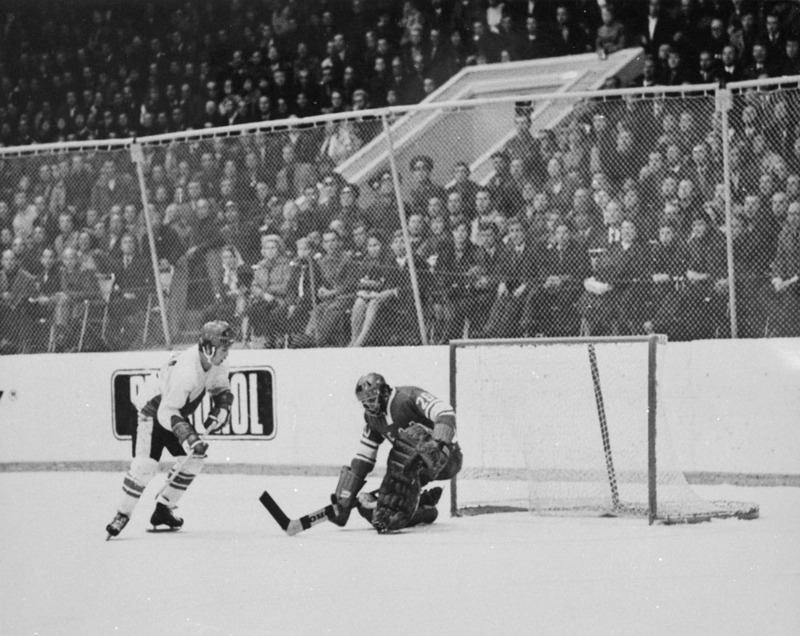 Forty-four years ago, defenceman Yuri Lyapkin had the distinction of being the last Soviet mentioned by Foster Hewitt on the broadcast from Moscow before Paul Henderson scored the goal that won the Summit Series. All three men are back on Canadian TV this week in Scotiabank’s new “Hockey Dreams” spot — it’s just that Lyapkin is wearing somebody else’s bearded face, now. If you’ve been watching as hockey’s World Cup winds down, “Hockey Dreams” has been running in constant rotation when the puck’s not in play on CBC’s broadcast. As noted herebefore, the Soviet defenders depicted in Frank Lennon’s iconic Paul Henderson photo from 1972 have been … well, disguised. 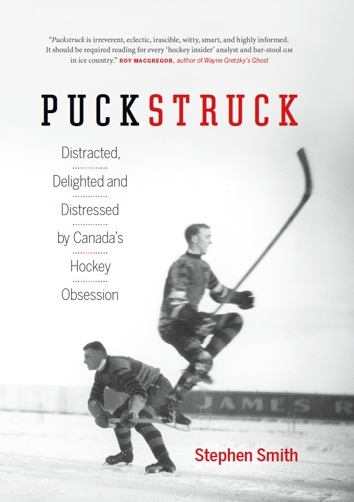 Richard Bendell, author of the definitive book on the Summit Series, was actually on this first, a week ago. He, too, wondered: why? What did Yuri Lyapkin, Valery Vasiliev, and Vladimir Shadrin do to deserve to have their numbers scrubbed and faces switched out all these years later on Canadian TV? Probably not a matter of punishing the Russians, right? More likely a question of clearances — of securing permissions from those in the original photograph? That’s been a conjectured consensus. Patrick Conway of Conway’s Russian Hockey Blog recalled the case of a Swedish stamp depicting Peter Forsberg’s famous Olympic goal on Corey Hirsh; Lloyd Davis, hockey historian and editor extraordinaire, provided the link. So there it is. Not entirely clear at this late hour is just whose faces those are replacing those of the crestfallen Soviets. I followed up to ask that. If I get an answer, I’ll share it.